There are many things that make Leisure Lane special, such as our resort-style pool and spacious deck, our secure gated entrances, the fishing pond, and our meticulously maintained grounds. Our goal is to offer our guests top customer service, provide them with a relaxed and comfortable camping experience and maintain the highest standards. 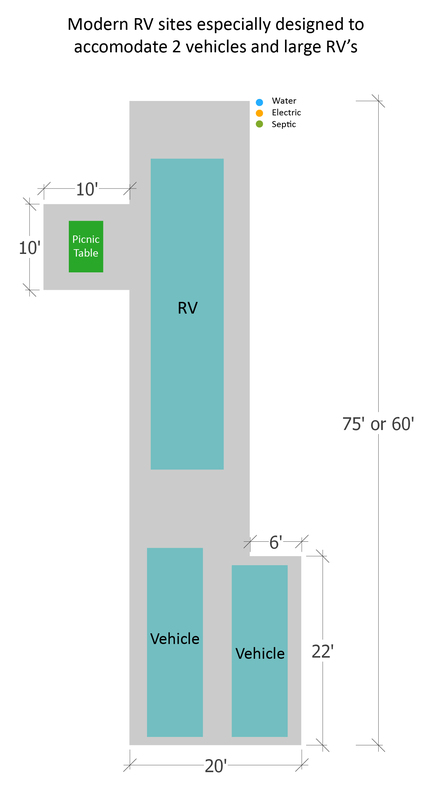 Unlike other RV parks, we offer spacious & modern RV sites. Click on the image to view it in high-resolution. © 2017 Leisure Lane RV Resort. All rights reserved.